Day three of the 2013 U.S. National Indoor Championships saw exciting 1st round action from the Men’s and Women’s singles and doubles. Top seed Kirsten Flipkens of Belgium began the day at Stadium Court against former 2007 National Indoor finalist Israeli Shahar Pe’er. The Belgian looked strong as she moved past Pe’er 62 62 to meet Ukrainian Lesia Tsurenko in Round 2 who won against American qualifier Maria Sanchez in similar fashion 62 64. Following on Stadium Court was defending National Indoor Champion Sofia Arvidsson, the No. 2 seed this year. The Swede would defeat qualifier Jana Cepelova of Slovakia 64 64. “I knew it was going to be a tough match and I’m so happy I could win,” reflected Arvidsson. Arvidsson is looking to become only the second female after Venus Williams to win three times in Memphis. She will face a rematch of the 2012 final in this year’s second round against New Zealander Marina Erakovic who bested German Annika Beck in a hard-fought three set match 46, 76(6), 64. One American went down today in men’s first round action as Poland’s Lukasz Kubot took out Ryan Harrison 64, 67(4), 76(2). Top seeded Croat Marin Cilic followed, starting sluggishly, but rebounding for a 46, 62, 63 victory over countryman Igor Dodig. It was a good day for American wildcards as doubles partners James Blake and Jack Sock knocked off the No. 2 seed duo of Max Mirnyi of Belarus and Romanian Horia Tecau 36 63 11-9. Wildcard Victoria Duval advanced over Swede Johanna Larsson 36 61 63. Women’s Doubles saw exciting action as the No. 1 seed Czech Republic team of Andrea Hlavackova and Lucie Hradecka were upset by Canadian Gabriela Dabrowski and Alla Kudryavtseva of Russia 46 64 10-4. A light-hearted fun Champions mixed doubles match featured former World No. 1 and Olympic Gold Medalist Lindsay Davenport teaming with Mark Philippoussis 11-time ATP Tour winner including two here in Memphis. The pair faced-off against American team Victoria Duval and No. 2 ranked American Sam Querry who will start his 2013 Memphis campaign on Tuesday. The Memphis Grizzlies defeated the Dallas Mavericks 92-82 Friday night at the FedExForum. The struggling Mavs were no match for the surging Grizzlies, who have won 4 in a row. Memphis never trailed in the game, leading by as much as 17 points. The Grizzlies took advantage of 24 Dallas turnovers for 29 points. The Mavericks’ leading scorer, O.J. Mayo, was held to just 10 points against his former Memphis teammates. Shawn Marion led Dallas with 14 points and 11 rebounds. Vince Carter also added 14. Dominique Jones scored 13 with 7 assists. Brandan Wright finished the Mav’s double-digit scoring with 12 points. Rudy Gay led all scorers with 26 points for Memphis. Zach Randolph added a double-double with 17 points and 13 rebounds. Marc Gasol also had a double-double with 11 points and 11 rebounds. The Mavericks bench outscored the Grizzlies 44-19. The Grizzlies completed a sweep of their 3-game homestand and will travel to Houston on Saturday to face the Rockets. Superstar Lindsay Davenport returns to the U.S. National Indoor Tennis Championships for the first time since her 2008 sweep of the Memphis women’s singles and doubles events. 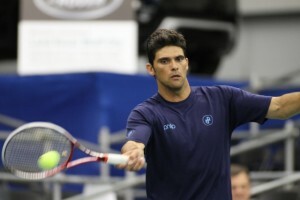 Davenport will partner with the 1998 and 2001 Memphis men’s singles champion, Mark Philippoussis, in a Champions Mixed Doubles Exhibition, which will take place on Monday, February 18th at 7:00 p.m.
Their opponents will be the 2010 Memphis men’s singles and doubles champion, Sam Querrey and 17-year-old 2012 USTA G18s National Championships winner, Vicki Duval. The exhibition is the first mixed doubles match featuring this caliber of players in the history of the U.S. National Indoor. 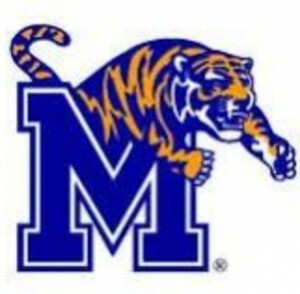 MEMPHIS, Tenn. – The University of Memphis men’s basketball team (7-3) shot just 36 percent from the floor, but forced 24 turnovers to get a 62-56 win over Lipscomb (5-6) Thursday at FedExForum. Turnovers and cold shooting haunted both teams in the first half, as both teams combined for 27 first-half turnovers. The Tigers went without a field goal for six and a half minutes and Lipscomb went nearly seven minutes without a basket. Trailing 10-9 at the 11-minute mark after a basket by Malcolm Smith, Joe Jackson ended the Memphis drought with a three-pointer to put the Tigers up 12-10 with nine minutes to play in the half. An immediate steal by Antonio Barton on the inbounds resulted in another basket for the Tigers for a 14-10 advantage. The ATP Men’s professional tennis tournament and WTA Women’s professional tennis tournament in Memphis, TN will now be known as the U.S. National Indoor Tennis Championships. The tournaments will be played February 16-24, 2013 at The Racquet Club of Memphis. In essence, renaming of the tournament to the U.S. National Indoor Tennis Championships will be returning the men’s tournament to its roots.The origin of the name goes back to 1898 when the U.S. National Indoor Tennis Championships were held in Newton, Massachusetts. Starting in 1989, the tournament dropped the U.S. National Indoor Tennis Championship name and branded itself with title sponsors. Former champions of the U.S. National Indoor Tennis Championships include Bobby Riggs in 1948, Pancho Gonzalez in 1949, Bjorn Borg 1977, John McEnroe in 1980 and Andre Agassi in 1988. Additional Memphis Champions included three time winner Andy Roddick, Maria Sharapova, Pete Sampras, Lindsay Davenport, Michael Chang and Venus Williams. Tickets for the U.S. National Indoor Tennis Championships are on-sale now and are available by calling (901) 765-4401. 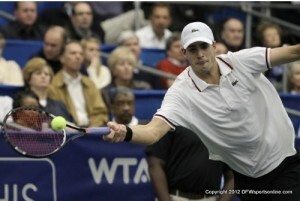 Additional information about the Championships can be found on the tournament website at www.memphistennis.com. 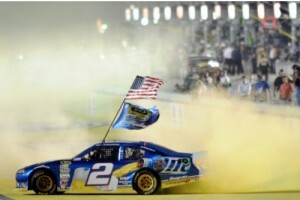 HOMESTEAD, Fla. — The fuel strategy that was supposed to carry Jimmie Johnson to a sixth championship instead made a winner of his teammate, Jeff Gordon, who triumphed in Sunday’s Ford EcoBoost 400 at Homestead-Miami Speedway as Brad Keselowski locked up the NASCAR Sprint Cup title. Gordon crossed the finish line 1.028 seconds ahead of Clint Bowyer, his nemesis from a week ago at Phoenix, as Johnson’s No. 48 Chevrolet sat forlorn in the garage, Johnson’s title hopes the victim of a pit road mistake and a rare part failure. Ryan Newman ran third, followed by Kyle Busch and Greg Biffle. Keselowski finished 15th, a lap down, but Johnson’s difficulties took the suspense out of the title fight in the closing laps of the race. Johnson entered the season finale 20 points behind Keselowski, but his 36th-place result cost him second place in the final standings. 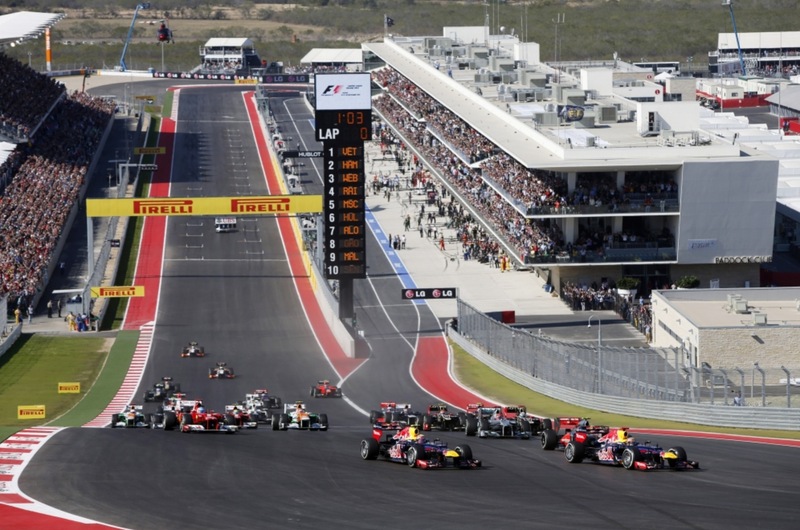 AUSTIN, Texas (Nov. 18, 2012) – Lewis Hamilton has won back-to-back races in the United States – but they came five years apart after the Englishman took victory for McLaren Mercedes in the inaugural United States Grand Prix at the Circuit of the Americas™. Starting from the front row of the 24-car grid, Hamilton, 27, passed polewinner Sebastian Vettel’s Red Bull on lap 42 of 56 with a clean move at the end of the DRS zone into Turn 12. 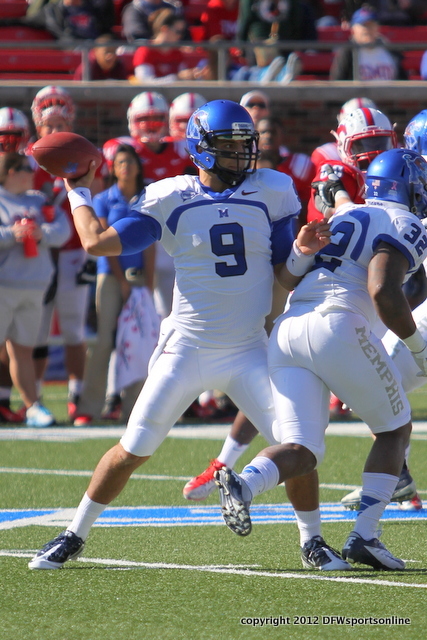 DALLAS – Memphis (1-7, 1-3 C-USA) was unable to stop SMU (4-4, 3-1 C-USA) late in the game as the Mustangs reeled off 28 unanswered points to record a 44-13 victory over the Tigers at Gerald J. Ford Stadium in Dallas. After a three-and-out on its first possession of the game, SMU lit up the scoreboard on its following drive by tacking on a 39-yard field goal at the 6:25 mark in the first quarter after a 9-play, 66-yard drive. The Mustang defense continued to hold strong, forcing a 52-yard Tom Hornsey punt, which was returned 59 yards by SMU’s Kenneth Acker to the Memphis 5. One play later, the Mustangs increased their lead with a rushing touchdown by Zach line to put them up 10-0 with 4:14 remaining in the first quarter. At the end of the first quarter, a Memphis fumble at the Tigers 18-yard line gave SMU good field position, setting up a 30-yard field goal for the Mustangs to give them a 13-0 advantage at the end of the first quarter.